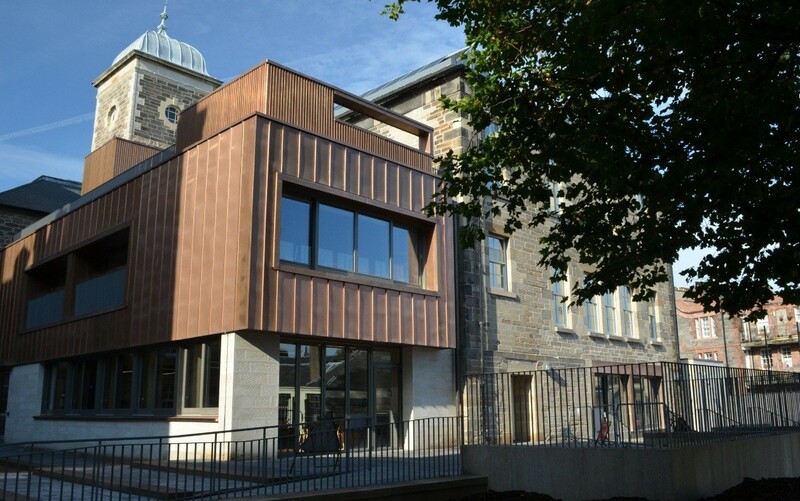 The Edinburgh Centre for Carbon Innovation has become the first listed building in the UK to earn a ‘BREEAM Outstanding’ award at design stage, although it will have to wait a further six months for the construction assessment. Built on the site of the 18th century Old High School the £10.5m carbon hub has been delivered by Malcolm Fraser Architects and Graham Construction and is designed to bring together experts from business, government and academia to collaborate on problems such as climate change and low carbon technologies. The accolade was bestowed on the refurbishment by dint of its prioritisation of sustainable and recycled materials and high specification insulation. Other measures adopted by the design team include grey water recycling, solar controlled glazing and under-floor heating connected to a combined heat and power source. 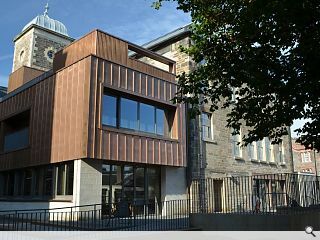 Lead architect Calum Duncan said: “Compared to the standard demolish-and-newbuild “sustainability” model the ECCI building represents a radical alternative and, as a general lesson, we suggest that the achievement of a low carbon economy should start with the joyful renewal of sturdy historic buildings, rather than their replacement.